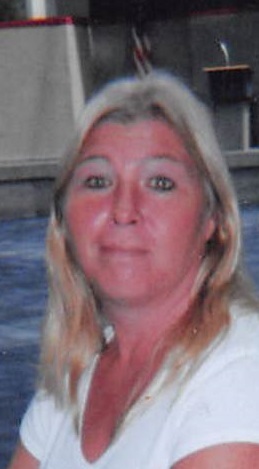 Nancy Mae Gunnels, 56, a native of Calvert, Alabama and resident of Mobile, Alabama passed away Monday, January 21, 2019 at USA Health University Hospital. She was a homemaker and a loving wife, mother and grandmother. Nancy enjoyed spending time with her grandchildren and spoiled them every chance she could. Nancy loved to travel, especially on a motorcycle. She will be dearly missed by all who knew her. She is preceded in death by her parents, Dennie “Jr.” Howard and Daisy Lee VanEtten Howard. Those left to cherish her memory is her husband, John Gunnels; children, Crystal Byrd (Steve “Onion”), Tina Orso (Tony), Jacob Coleman (Christie), and Charles Coleman (Alex); 14 grandchildren, Stephen, Shaun, Brittany, Steven, Cassidy, Mckenzie, Madison, T.J., Lyrissa, Lil Jacob, Mallorie, Bailyn, Lil Charles and Brantley; and also she was known as “MawMaw” to many other children as well as adults; father and mother-in-law, Mr. Shirley Gunnels, Jr. and Betty Gunnels; siblings, Ola Hall, John Howard, Paul Howard, Dennie Howard and Lisa Newton; other relatives and friends. The family will receive friends from 12pm until the 2pm funeral service on Saturday, January 26, 2019 at Freeman Funeral Home with Rev. Carl McElreath officiating. Burial will follow in Calvert Cemetery. Online condolences may be given at www.freemancitronelle.com. Freeman Funeral Home – Citronelle, Alabama.